We've embedded the trailer below, which was shown off as part of the Star Wars Celebration event in the US. It looks like the action is set on Vader's home base at Mustafar, which featured in the Rogue One movie. From the two minutes of footage we've got, it seems you're a prisoner inside the base and you need to get out. Apparently you've got a droid to help you out – and a lightsaber. As we already know, these are interactive stories rather than games per se, but the trailer does give us a glimpse of some combat and some climbing, so there will be plenty of interaction as well as story. This is the first episode of three as far as Vader Immortal is concerned – and presumably there might be more stories on the way in the future if this one is well received. Oculus also broke the news that the game is going to be coming to the Oculus Rift S as well as the Oculus Quest, though maybe not at the same time. 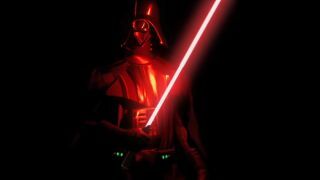 Previously, Vader Immortal had been promoted as an Oculus Quest exclusive. We don't know yet exactly when the Oculus Quest and Vader Immortal will appear – but a "spring 2019" launch has repeatedly been mentioned, so it can't be far off. And if you're one of the handful of people in the world who haven't seen it yet, a teaser trailer for the upcoming Episode XI movie was also revealed at the Star Wars Celebration event.